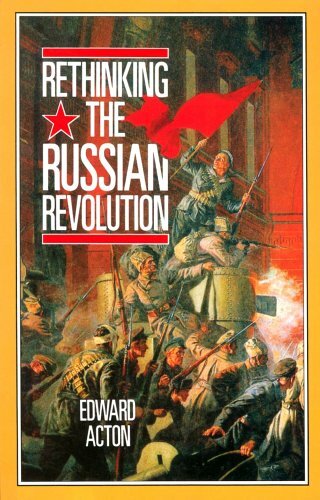 Acton, Edward, RETHINKING THE RUSSIAN REVOLUTION. . VG, trade PAPERBACK. (Arnold Publishers, 1990). 240 pages. ~~~ For its admirers, the Russian Revolution is a milestone in human progress; for its critics, it is a catastrophe of monstrous proportions. Edward Acton's stimulating study combines an introduction to the momentous events of 1917 with an analysis of this controversy. 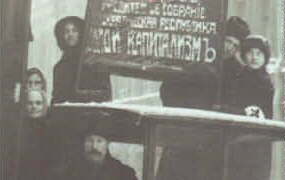 ~~~ Few events have provoked fiercer or more highly politicized historical controversy than the Russian Revolution. Edward Acton's stimulating new study combines an introduction to the momentous events of 1917 with an analysis of the controversy. As well as allowing an evaluation of a broad spread of traditional interpretations, his approach brings home the full implications of recent "revisionist" work and the radical reinterpretation of the revolution to which it points. ~~~ This edition currently in print at $29.95. Bailey, F.M. 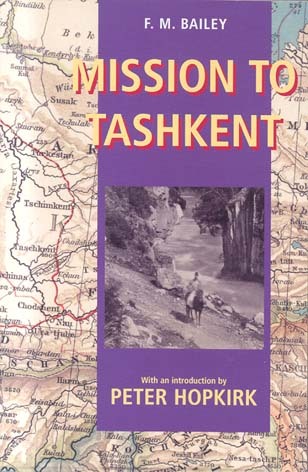 and Peter Hopkirk, MISSION TO TASHKENT. NEW copy, trade PAPERBACK. (Oxford). 3145 pages. 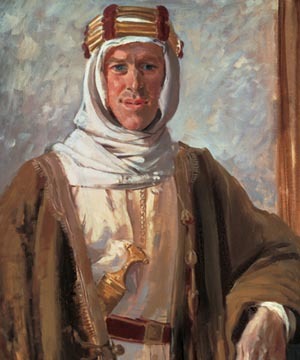 ~~~ Colonel F. M. Bailey, whose extraordinary adventures are told here, was long accused by Moscow of being a British master-spy sent in 1918 to overthrow the Bolsheviks in Central Asia. As a result, thirty-five years after his death, he still enjoys an almost legendary reputation there - that of half-hero, half-villain. 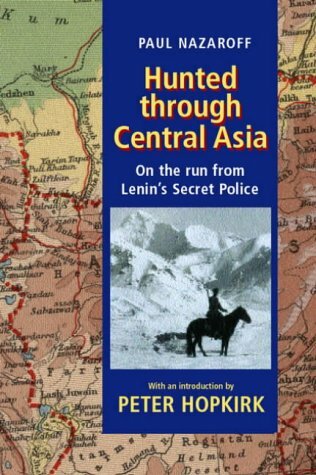 In this remarkable book he tells of the perilous game of cat-and-mouse, lasting sixteen months, which he played with the Bolshevik secret police, the dreaded Cheka. At one point, using a false identity, he actually joined the ranks of the Cheka, who unsuspectingly sent him to Bokhara to arrest himself. Told with almost breathtaking understatement, Bailey's narrative - set in a region once more back in the headlines - reads like vintage Buhan. 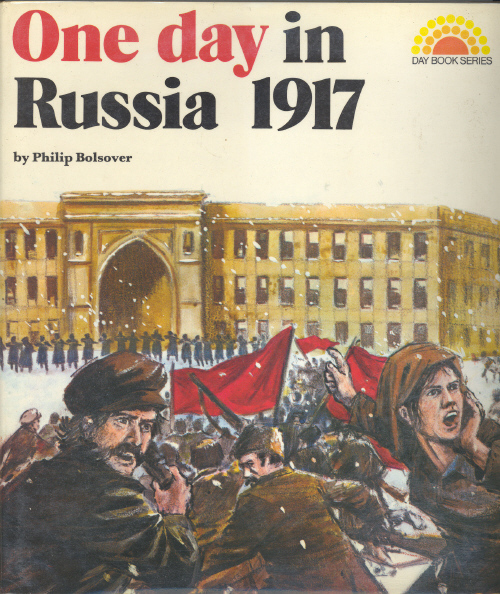 Bolsover, Philip, ONE DAY IN RUSSIA 1917. VG/VG. Jacket in mylar. (NY: Abelard-Schuman, 1975). First American Edition. "Day Book Series". Illustrated throughout. Glossary, Further Reading, 48 pages. For young readers. ~~~ At the beginning of the twentieth century, Russia was a very different country from what it is today. Life for the nobility and royalty was elegant and splendid, while the poor lived an incredibly squalid existence. ~~~ By 1917, the people, particularly the poor and the working class, were ready to use force to bring about complete change within their country. On November 7, 1917, that change began, and, under the leadership of Lenin and his Bolshevik party, the Russian Revolution took place. ~~~ We follow the day's activities of people of various levels of Russian society from the soldier to the noble, from the street orphan to the wife of a member of the French Embassy staff. As we learn of the changes that the Revolution creates in the lives of these people, we better understand its effects on the entire country. Bonnell, Victoria E. (ed), THE RUSSIAN WORKER: Life and Labor Under the Tsarist Regime. NEW copy, trade PAPERBACK. (University of California Press, 1983). Reprint edition. 240 pages. ~~~ Here, for the first time in English translation, are contemporary accounts of working-class life during the final decades of the Russian Empire. 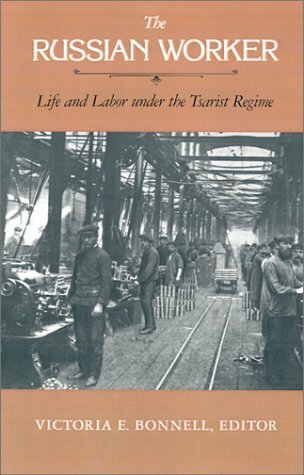 Written by workers and other close observers of their milieu, these five selections recreate the world of Russian labor during a period of rapid industrialization and social change, a world far more complex and varied than has often been assumed. ~~~ The accounts in The Russian Worker explore the daily experiences, social relations, and aspirations of factory, artisanal, and sales-clerical workers, both in and outside the place of employment. Through the eyes of contemporaries we see the routine, the organization of work, and authority relations on the shop floor as well as conditions that workers encountered in providing for food and lodging and their experiences in the areas of religion, recreation, cultural activities, family ties, and links with the countryside. ~~~ With its vivid and detailed descriptions of working-class life, The Russian Worker provides new material on such important topics as the formation of workers' social identities, the position of women, patterns of stratification, and workers' concepts of status differentiation. An introductory essay by Victoria Bonnell places the selections in an historical context and examines some of the central issues in the study of Russian labor. The collection will be of value not only to specialists in the Russian field, but also to historians, sociologists, economists, and others with an interest in the sociology of work, and the history of working women. Brovkin, Vladimer N. and Robert Hessen (eds), DEAR COMRADES: Menshevik Reports on the Bolshevik Revolution and the Civil War. NEW copy, hardcover with dust jacket. (Hoover Institution Press, 1990). 296 pages. 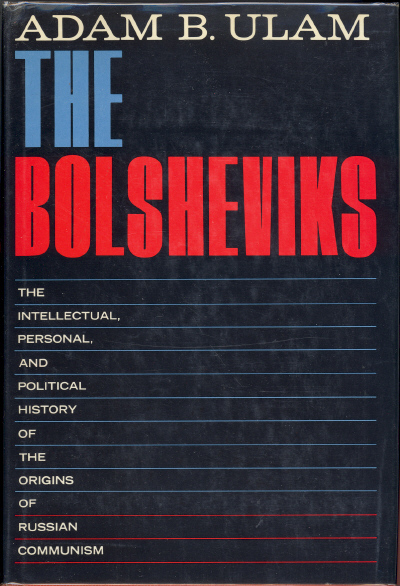 ~~~ From Booknews: Presents, for the first time in English, a collection of previously unpublished Menshevik documents from the Hoover Institution Archives on the Russian Civil War and the establishment of the Communist dictatorship as witnessed by the Russian Social Democrats, or Mensheviks. Brovkin has focused the collection not on governments and key rulers, but on the accounts of ordinary citizens testifying to the power struggle between the two political parties as they vied for supremacy within postczarist Russia. ~~~ ~~~ Paperback currently in print at $21.95; hardcover currently OUT OF PRINT. [Bukharin], Nikolai (translated by George Shriver), HOW IT ALL BEGAN: The Prison Novel. NEW copy, trade PAPERBACK. (Eastern European Monographs, 1999). 400 pages. ~~~ The autobiographical novel and final work of one of the Communist Party's youngest, most popular, and most intellectual members is both an astonishing personal testament and a panoramic view of Russia on the eve of a revolution that transformed the twentieth century. 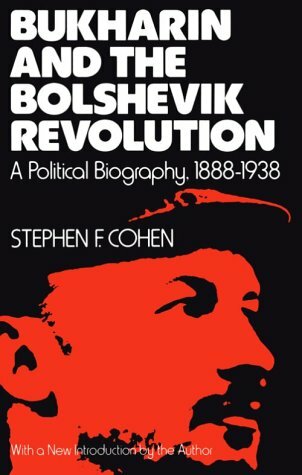 [Bukharin], Stephen F. Cohen, BUKHARIN AND THE BOLSHEVIK REVOLUTION: A Political Biography, 1888-1938. VG. Trade PAPERBACK. Upper front corner bumped, otherwise in crisp, clean condition. (Oxford: Oxford University Press, 1991). 560 pages. ~~~ This biography traces Bukharin's rise to and fall from power, focusing particularly on the development of his theories and programmatic ideas during the critical period between Lenin's death in 1924 and the ascendancy of Stalin in 1929. Carey, Donald E. (edited by Neil G. Carey). FIGHTING THE BOLSHEVIKS: The Russian War Memoir of Private First Class Donald E. Carey, U.S. Army, 1918-1919. NEW copy, hardcover with dust jacket. (Novata, CA: Presidio Press, 1997). Photographs, 240 pages. ~~~ Most Americans are unaware of that historic time when American soldiers and sailors fought Russian revolutionaries - the Bolsheviks - in north Russia and Siberia. This is the daily record and recollections of Pfc. Donald E. Carey, one of the 5,600 American soldiers who fought the Bolsheviks there during 1918 and 1919. Carey and his men were part of the U.S. Army's 339th Infantry Regiment. Their battleground was just a few miles south of the Arctic Circle and though often outnumbered, these soldiers battled, and usually defeated, the Bolsheviks. 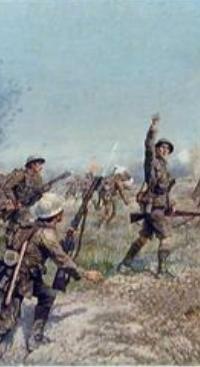 Ironically, most of their combat occurred after the Armistice of 11 November 1918 ended World War I. This segment of history is condensed from the daily record maintained by 25-year-old Carey, a drafted school teacher who was proud to serve his country as an enlisted man, but did not want to be responsible for the lives of others as an officer. 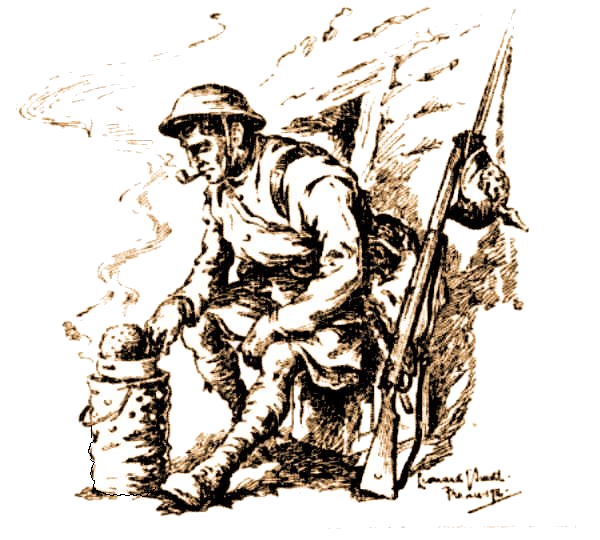 Carey records army life and duty with unvarnished observations of his fellow soldiers, officers, and events - the brave and fainthearted, the humorous and the heart-rending. 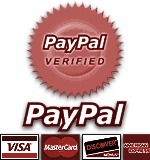 ~~~ Originally published at $24.95, now OUT OF PRINT. [Chagall], Jamie H. Cockfield, CHAGALL: LOVE AND THE STAGE, 1914-1922. NEW copy, hardcover with dust jacket. (London: Merrell Publishers, 1998). 9.5x10.5. 80 illustrations, 60 in color. ~~~ "Unable to leave Russia and return to Paris at the outbreak of World War I, Marc Chagall returned to his roots in his hometown of Vitebsk. "Chagall: Love and the Stage" focuses on this turbulent yet fruitful period in Chagall's artistic development, which culminated in 1920 with a set of monumental murals painted for the State Yiddish Chamber Theater in Moscow." ~~~ From Booknews: "Eighty illustrations, 60 in color, document this most celebrated phase of Chagall's career, during which he was forced by the First World War to remain in Russia, where he remained through the Bolshevik Revolution. The period includes his famous murals for the State Yiddish Chamber Theatre in Moscow. Accompanying essays discuss such topics as Chagall and the theatre, and the quest for a Jewish art in revolutionary Russia." ~~~ Table of Contents: Painting as Theatre, or Theatre as Painting? -- Marc Chagall: Love and the Stage -- Marc Chagall and the Theatre -- The Quest for a Jewish Art in Revolutionary Russia -- Catalogue -- List of Works. ~~~ ~~~ OUT OF PRINT. Coates, Tim, THE RUSSIAN REVOLUTION, 1917. NEW copy. PAPERBACK. (Stationery Office Books, 2000). Abridged edition. 244 pages. 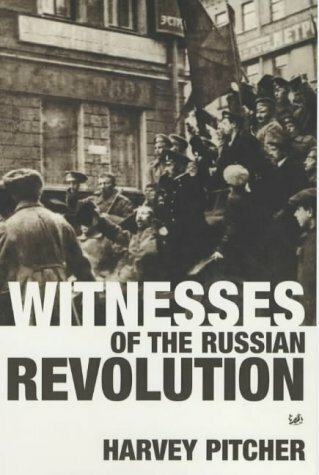 ~~~ "This book is compiled from two government files: one describing events leading up to the revolution and how the Bolsheviks came to power in October 1917; the other containing a series of eye-witness accounts of the frightening days of the Bolshevik regime 1918-1919." 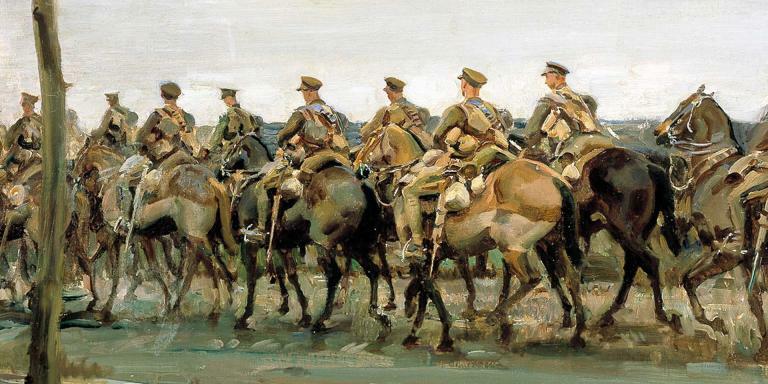 ~~~ By November 1917, Russia had lost more than 20,000 000 people in the war. 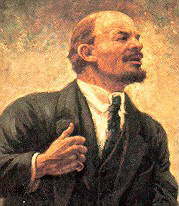 Lenin's Bolshevik party had overthrown the Tsar and had called for an end to all capitalist governments. Government files contain a number of detailed documents describing the nature of the Bolshevik Revolution and the government of Lenin, which was observed to be not only abhorrent but also menacing because of the international implications. 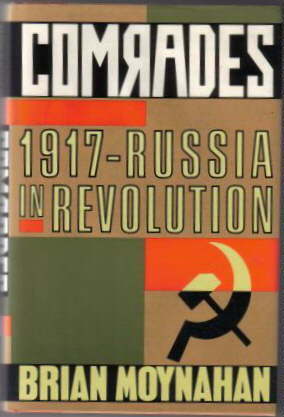 This book is compiled from two of these files, one of which describes the events leading up to the revolution and how the Bolsheviks came to power in October 1917. The other contains a series of eye-witness accounts of the frightening days of the Bolshevik regime from the summer of 1918 to April 1919." 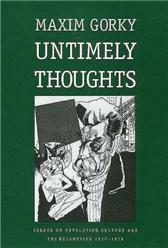 ~~~ ~~~ Originally published at $13.00, but now OUT OF PRINT. David-Fox, Michael, REVOLUTION OF THE MIND: Higher Learning among the Bolsheviks, 1918-1929. NEW copy, hardcover with dust jacket. (Cornell University Press, 1997). Photographs, 256 pages. ~~~ Using archival materials never previously accessible to Western scholars, Michael David-Fox analyzes Bolshevik Party educational and research initiatives in higher learning after 1917. His fresh consideration of the era of the New Economic Policy and cultural politics after the Revolution explains how new communist institutions rose to parallel and rival conventional higher learning from the Academy of Sciences to the universities. 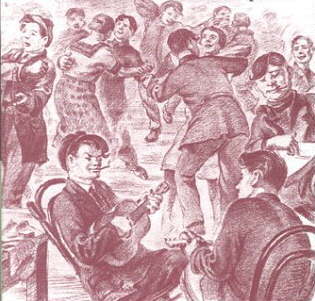 ~~~ Beginning with the creation of the first party school by intellectuals on the island of Capri in 1909, David-Fox argues, the Bolshevik cultural project was tightly linked to party educational institutions. He provides the first account of the early history and politics of three major institutions founded after the Revolution: Sverdlov Communist University, where the quest to transform everyday life gripped the student movement; the Institute of Red Professors, where the Bolsheviks sought to train a new communist intellectual or red specialist; and the Communist Academy, headquarters for a planned, collectivist, proletarian science. ~~~ Using a wide range of previously restricted and recently declassified materials in former Communist Party and Soviet state repositiories, David-Fox analyzes the internal evolution of the revolutionary institutions and their relations with the Party. His book represents a commitment, rare in the field of Soviet Studies, to combine cultural, political, and institutional history, bringing institution building after 1917 to the center of historical attention. ~~~ Currently in print at $57.50..
Figes, Orlando & Boris Kolonitskii, INTERPRETING THE RUSSIAN REVOLUTION: The Language and Symbols of 1917.. NEW copy, hardcover with dust jacket. Yale University Press, 1999. Photographs, numerous page-end notes, index, 198 pages. 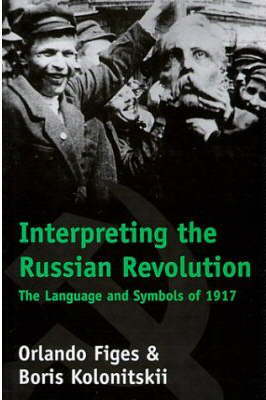 ~~~ This is the first book in any language to probe the political culture of the Russian Revolution. The authors examine how language and other symbols--flags and emblems, public rituals, songs, codes of dress -- were used to identify competing sides and to create new meanings in the struggles of 1917. The party or faction that could control the systems of symbolic meaning, the authors find, was well on the way to mastering the revolution itself. ~~~ From Publishers Weekly: In this scholarly reduction of the Russian Revolution, Figes (A People's Tragedy, etc. ), professor of history at Birbeck College, London, and Kolonitskii, senior researcher at the Institute of History of the Academy of Sciences in St. Petersburg, examine the minutiae of political culture circa 1917, concluding that the often-neglected struggles played out in popular culture -- via rumors, jokes, flag waving and singing -- had significant impacts on political events in Russia. "The demonization of the old regime was a vital means of legitimizing and enforcing unity around `the revolution,'" the authors argue. They then offer extensive examples from letters, movies, postcards and newspapers that demonstrate the popular conclusion that the empress was a German spy and a woman of loose sexual morals and that her husband was a weak cuckold. Most interesting is an analysis of the use of the same symbols by opposing forces--many political parties opposing the Romanov monarchy, such as Mensheviks, Bolsheviks and anarchists, waved the same red flags and sang the same revolutionary anthems. After the Romanovs were deposed, a struggle began among the parties to appropriate the most effective symbols for themselves. While the book is certainly not, as the jacket claims, 'the first book in any language to offer an analysis of the political culture of the Russian Revolution. Figes, Orlando, PEASANT RUSSIA CIVIL WAR: The Volga Countryside in Revolution 1917-21. . NEW copy, trade PAPERBACK. (Phoenix Press, 2001). 428 pages. ~~~ The celebrated author of A People's Tragedy explains, for the first time, how the Bolshevik victory in the civil war was made possible by the transformation of the Russian countryside in the years leading up to and during the revolution. 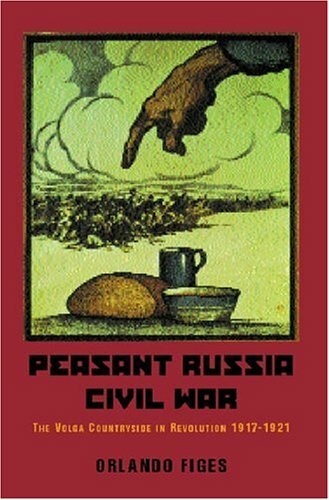 Emphasising that any military victory in a civil war will be short-lived unless it is backed by political power, Orlando Figes provides a detailed description of the Russian peasantry on the eve of the revolution; describes the breakdown of state power in the countryside; examines the system of peasant rule and the reluctance of the peasants to rise against the Soviet regime and, crucially, the relationship between the peasants and the Bolsheviks during the civil war. An original approach and a fascinating account of this turbulent period, illustrated with disturbing images. 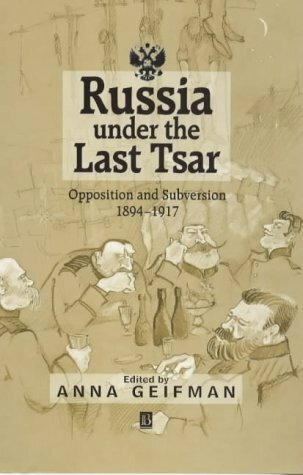 Geifman, Anna (ed), RUSSIA UNDER THE LAST TSAR: Soviet-American Relations, 1917-1920. NEW copy, trade PAPERBACK (Blackwell, 1999). 310 pages. 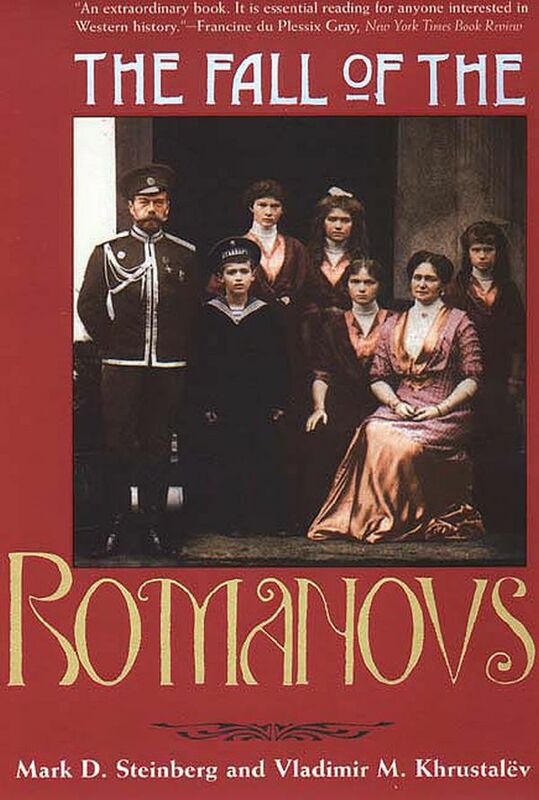 ~~~ Forms an overview of the issues, events, and personalities of the two turbulent decades before the 1917 revolution in Russia, and analyzes the motivations and activities of the various political parties operating during the reign of Tsar Nicholas II. ~~~ This paperback edition currently in print at $41.95. 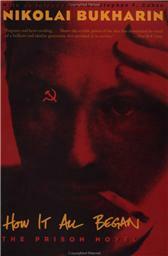 Gorky, Maxim, UNTIMELY THOUGHTS: Essays on Revolution, Culture and the Bolsheviks 1917-1918.. NEW copy, trade PAPERBACK. (Yale University Press, 1995). 300 pages. ~~~ One of the most renowned Soviet writers of the 20th century, Gorky was an early supporter of the Bolsheviks who became disillusioned with the turn of events after the 1917 revolution. This brilliant and controversial book is a collection of the critical articles Gorky wrote that describe the Russian national character, condemn the Bolshevik methods of government, and provide a vision of the future. Gorsuch, Anne E., YOUTH IN REVOLUTIONARY RUSSIA: Enthusiasts, Bohemians, Delinquents.. NEW copy, hardcover with dust jacket. (Bloomington: Indiana University Press, 2000). Intertextual drawings and photographs, extensive notes and bibliography, index, 274 pages. ~~~ Youth in Revolutionary Russia explores the everyday activities of urban youth in Soviet Russia, including communist ritual and performance, popular pleasures like the foxtrot, and the subcultural activities of homeless and hooligan youth. Gorsuch examines the relationship between the realities of youth and Bolshevik ideals for youth, between popular culture and official ideology, and the meaning of these relationships for the making of a "Soviet" state and society. von Hagen, Mark, SOLDIERS IN THE PROLETARIAN DICTATORSHIP: The Red Army and the Soviet Socialist State, 1917-1930. NEW copy, trade PAPERBACK. (Cornell University Press, 1993). 408 pages. ~~~ Historians have long debated the factors most responsible for the fundamental transformation of Soviet social and political structures which occurred between the October Revolution and the emergence of the Stalinist police state. With this social and institutional history of the Red Army, Mark von Hagen provides a valuable new perspective on this critical first decade in the history of the Soviet Union. 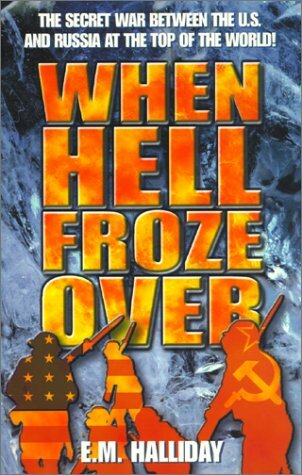 Halliday, E.M. , WHEN HELL FROZE OVER. NEW copy, trade PAPERBACK. (Pocket Books). 319 pages. 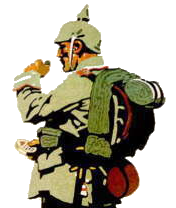 ~~~ On November 11, 1918, World War I officially ended. 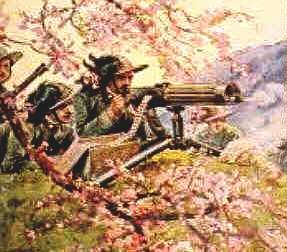 But for the men of the ill-starred American Expeditionary Force to North Russia, the fighting had only begun. 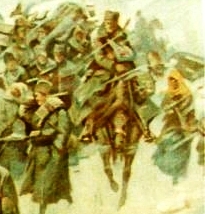 Plagued by meager supplies, poor leadership, and the lack of a clear-cut objective, this small but valiant American contingent fought impossible odds, scoring several stunning victories against the Bolsheviks before superior numbers and the bone-breaking arctic winter that had defeated Napoleon forced them to withdraw. Now, in this clear, forthright account, E.M. Halliday re-creates one of the most obscure but important of America's foreign interventions: an epic of confusion, endurance, failure - and gallantry - that history almost forgot and the Russians never forgave. Only today, more than seventy years after the Allied occupation of Archangel, have American-Soviet relations begun to thaw. Hopkirk, Peter and Paul Nazaroff, HUNTED THROUGH CENTRAL ASIA. NEW copy, trade PAPERBACK. (Oxford). 335 pages. ~~~ Paul Nazaroff was the ringleader of a desperate plot to overthrow the Bolsheviks in Central Asia in 1918. He was betrayed to the Secret Police, who declared him 'the most dangerous counter-revolutionary at large in the Tashkent region'. Thus began his extraordinary catalogue of adventures. As he fled from Lenin's men, he was aided by the indigenous peoples of the region, the Kirghiz and the Sarts, whose language and culture he had been steeped in since boyhood. For months he was forced to live the life of a hunted animal. Peter Hopkirk has contributed a fascinating introduction to this tale of hair-breadth 'scapes and survival against all odds, as well as an epilogue which reveals Nazaroff's later fortunes. 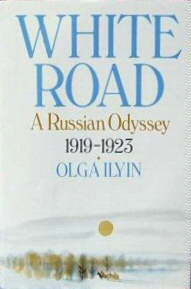 Ilyin, Olga WHITE ROAD: A Russian Odyssey, 1919-1923. NF/VG. 1st Edition. (NY: Holt, Rinehart and Winston, "A William Abrahams Book, 1984). Original '17.95' price still on jacket flap. Some minor, inconspicuous creasing to bottom edge of front panel of jacket. Book itself clean, bright and tight. 316 pages. ~~~ This is an enthralling slice of personal history that chronicles the onset of the Russian Revolution, follows the path of retreat of the White army, and involves us in the chaos, disarray, and horrifying difficulties that beset the Whites attempting to escape from their native Russia and establish new lives as exiles abroad. ~~~ Olga Ilyin was a young bride at the time the Revolution broke out, her husband an officer in the White army. their background recalls the world of Turgenev's novels moved forward into the twentieth century. members of the upper class and the intelligentsia, not unaware or undesirous of social change, they were supporters of the Provisional Government. ~~~ But as Lenin and the Bolshevik forces triumphed, whether one was a moderate or a monarchist no longer mattered. This was class war with a vengeance. the Whites had no choice but to flee for their lives-- literally-- and the story Mrs Ilyin tells is utterly fascinating and sometimes horrifying. The zigzag journey across Siberia is brought alive in all its hardships and unexpected brief pleasures. -- White Road is altogether a mixture of heroism, fear, and nostalgic recollections. The author is a woman in her eighties of indomitable spirit and innate intelligence and must be one of the last living witnesses to the events she describes so vividly. Kennan, George F., RUSSIA LEAVES THE WAR: Soviet-American Relations, 1917-1920. NEW copy, trade PAPERBACK (Princeton University Press, 1989). 531 pages. 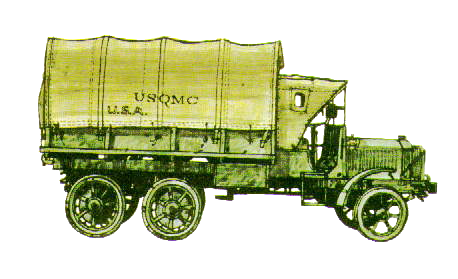 ~~~ In 1918 the U.S. government decided to involve itself with the Russian Revolution by sending troops to Siberia. This book re-creates that unhappily memorable storythe arrival of British marines at Murmansk, the diplomatic maneuvering, the growing Russian hostility, the uprising of Czechoslovak troops in central Siberia which threatened to overturn the Bolsheviks, the acquisitive ambitions of the Japanese in Manchuria, and finally the decision by President Wilson to intervene with American troops. Of this period Kennan writes, "Never, surely, in the history of American diplomacy, has so much been paid for so little." ~~~ This paperback edition currently in print at $39.95. 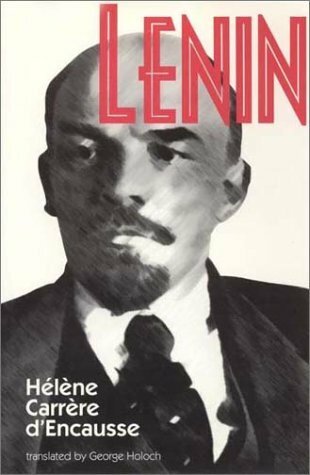 [Lenin] Helene Carrere d'Encausse (translated by George Holoch), LENIN. NEW copy. Hardcover with dust jacket. (NY: Holmes & Meier Publishers, Inc, 2001). Bibliography, chronology, notes, index, 371 pages. 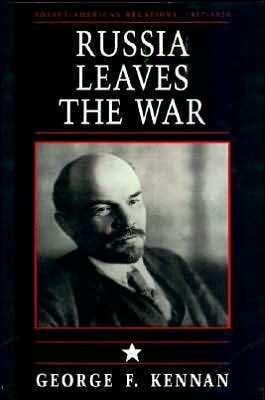 ~~~ This is a one-volume, concise study of Lenin and his role in the Russian Revolution. 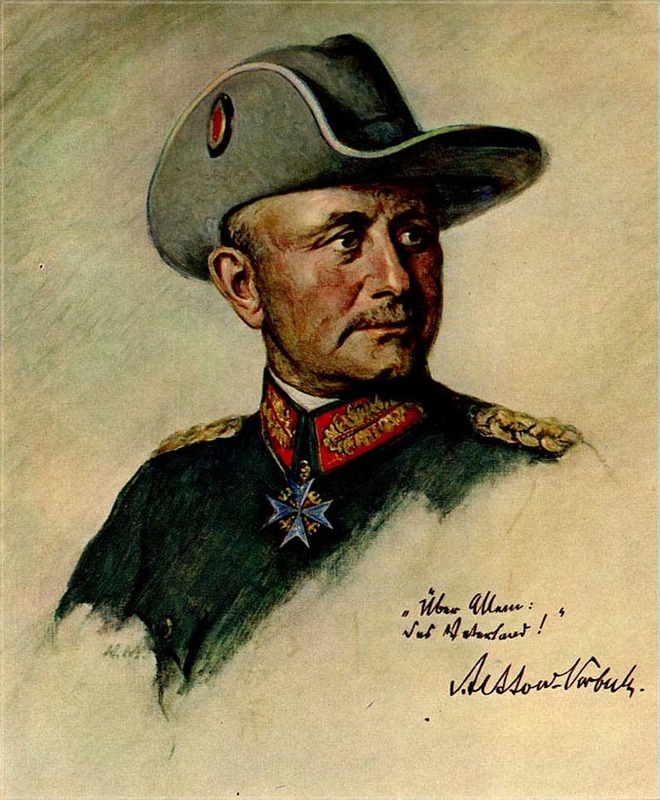 It concentrates on his years in power between 1917 and 1924. The book draws on recent historical work in Russia and the West, and makes use of new documents made available since the Gorbachev era and the end of the Soviet Union. 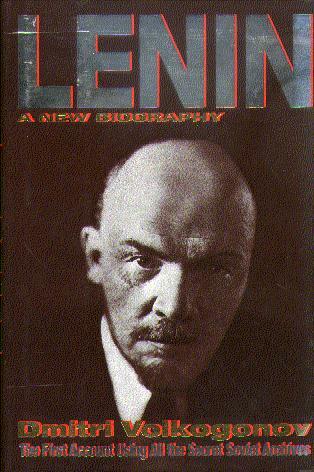 ~~~ From Booknews: Lenin exercised power for only a short time, from late 1917 to early 1923. And yet the system he founded, beginning with just a few thousand agitators, extended its influence far into the 20th century and far outside Russia. D'Encausse seeks to help remove Lenin from the ideological passions that his memory still stirs up in order to situate him in the larger history of a century that was dominated by his ideas and will. D'Encausse has written extensively about Russian, Soviet, and Slavic history. ~~~ Currently in in print at $45. [Lenin] Louis Fischer, LIFE OF LENIN. NEW copy. PAPERBACK. (Phoenix Press, 1984). ~~~ "...a history of the Russian revolutionary movement and of Soviet Russia from 1917-1924 wrapped up in a detailed biography of Lenin. It is a brilliant contribution to our understanding of one of the giants of the 20th century and the revolution which he launched and led..." The author knew Lenin personally for many years. Winner of the 1965 National Book Award for Biography/History. ~~~ This edition originally in print at $24.95, now OUT OF PRINT. 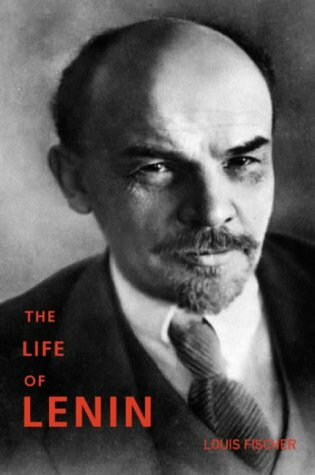 [Lenin] Dmitri Vokogonov, LENIN: A New Biography. NEW copy. Hardcover with dust jacket. (Free Press). 529 pages. ~~~ General Volkogonov sheds new light on the early years of the Soviet regime thanks to his unique access to secret Soviet archives. It is the masterly work of a skillful historian. 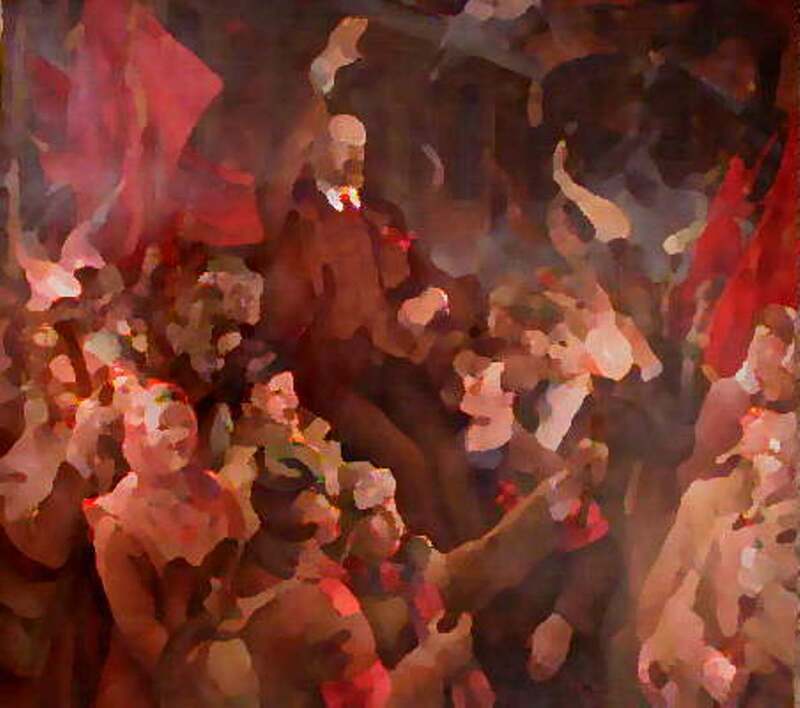 [Lenin] Philip Pomper. 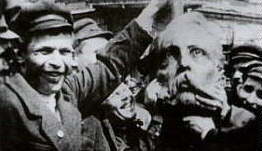 LENIN'S BROTHER: The Origins of the October Revolution. NEW copy. Hardcover with dust jacket. (WW Norton & Company, 2009). Illustrations, notes, glossary bibliography, index, 304 pages. 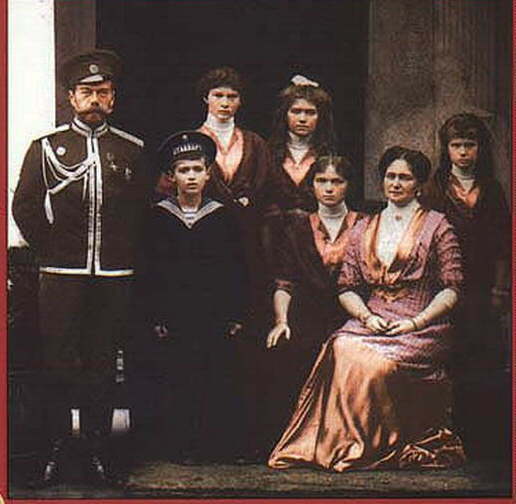 ~~~ From Booklist: Implicated in a conspiracy to assassinate Czar Alexander III, Alexander Ulyanov was executed in 1887, which traumatized his family and ruined their name. In this fascinating portrait of the Ulyanovs, historian Pomper recounts the family�s social ascent amid the restlessness of nineteenth-century Russia that caused many socially privileged young men, such as Alexander and his younger brother, Vladimir (the future Lenin), to rebel. Outlining the actions and ideas of the period�s revolutionaries, such as the People�s Will terrorists who assassinated Alexander II in 1881, Pomper strives to discover why and when Alexander became convinced to pursue such drastic action himself. A stellar student, he was radicalized at St. Petersburg University, and Pomper reconstructs Alexander�s life and contacts in the capital city and his eventual plunge into the conspiracy. On the family crisis provoked by Alexander�s arrest, Pomper writes with great insight, sensitive to the psychological dynamics reflected in the mother�s plea for mercy, Alexander�s reluctance to beg for it, and Vladimir�s understanding of his older brother. 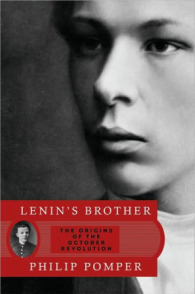 Excellent historical work, Pomper�s family biography will inform all future Lenin biographies. [Armand, Lenin] Michael Pearson, LENIN'S MISTRESS: The Life of Inessa Armand. NEW copy. Hardcover with dust jacket. (Random House, 2002). 304 pages. ~~~ From the author of The Sealed Train and Those Damned Rebels comes the biography of Inessa Armand: revolutionary, tactician, and confidante and mistress of Vladimir Ilyich Lenin. Although she is little known today, after the October Revolution in 1917, Armand became the most powerful woman in Moscow. Michael Pearson, with access to family papers (including 150 letters from Lenin to Armand), previously censored materials from Russian archives, and interviews with Inessa Armand's descendants, brings her to life with precision and insight - as a wife and devoted mother, political standard-bearer, and woman in love. 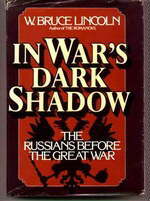 Lincoln, W. Bruce, IN WAR'S DARK SHADOW: The Russians Before the Great War . VG/VG. Minor wear & chipping to jacket. Dial Press, 1983. 76 pages of notes, 25-page bibliography; index; 557 pp. ~~~ "...brilliantly told story of the Russian people as they entered the twentieth century. It takes the reader into areas of Russian life that have remained virtually unknown in the West to all but those specialists who read and speak Russian. 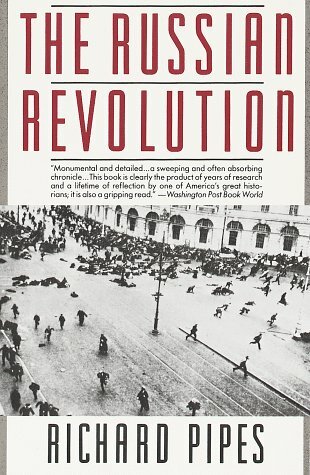 It is a profoundly dramitc exploration of the lives, throughts, hopes, and dreams of the more than one hundred million men and women who lived in the world's largest empire -- one out of three of whom would either be in exile or have perished by the time Lenin announced the Bolshevik final victory." 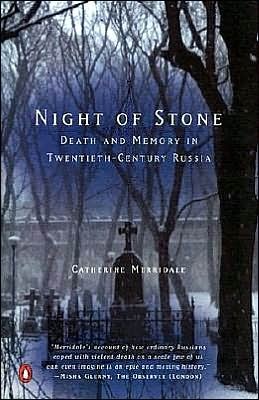 Merridale, Catherine, NIGHT OF STONE: Death and Memory in Twentieth-Century Russia. Trade Paperback. NEW copy, (Penguin, 2001). Photographs, Notes & Sources, Bibliography, Index, 402 pages. ~~~ "During the twentieth century, Russia, Ukraine, and the other territories of the former Soviet Union experienced more bloodshed and violent death than anywhere else on earth: fifty million dead in an epic of destruction that encompassed war, revolution, famine, epidemic, and political purges. ~~~ In Night of Stone, Catherine Merridale asks Russians the most difficult questions about how their country's volatile past has affected their everyday lives, aspirations, dreams, and nightmares. Drawing upon evidence from rare Imperial archives, Soviet propaganda, memoirs, letters, newspapers, literature, psychiatric studies, and interviews, Night of Stone provides a highly original and revealing history of modern Russia. " ~~~ From Publishers Weekly: "Russia's story of death has been obscured so often," explains Merridale (Perestroika: The Historical Perspective; Moscow Politics and the Rise of Stalin). The extraordinary scale of the violence and loss in modern Russian history has been shrouded in secrecy; indeed, the government has only recently acknowledged the hundreds of thousands killed under Stalin. 'For 50 years,' Merridale writes, 'until the fall of Communism, families had kept bereavement of this kind to themselves.... It was dangerous, after all, to mourn the passing of an enemy of the people.' Paying particular attention to the ways that Orthodox religion and Soviet atheism have affected Russian bereavement, Merridale explores Russian perceptions of death and afterlife from before the Bolshevik Revolution, through both world wars and the great famines of the 1930s and into the present. Her fascinating study is based on intimate conversations with bereaved Russians, as well as interviews with gravediggers, funeral directors, social workers, doctors and priests, and meticulous readings of imperial archives, Soviet propaganda, letters, memoirs, literature and government documents. (As Merridale points out, much of this research would have been impossible 20 years ago.) Merridale scrupulously avoids imposing her own ideological or cultural prejudices on her subject. By turns solemn and grisly, empathetic and scholarly, this inspired work provides a unique window on Soviet history through the brutality, ceremony and silences of death." ~~~ From Kirkus Reviews: "A wrenchingly poignant examination of how the Russian people have coped with a century of tragedy and loss. Because Merridale (History/Univ. of Bristol) believes that the truth resides more in stories than statistics, she spent two years in Russia interviewing a wide variety of people, reviewing personal and archival documents (many just recently available), and visiting the sites associated with the revolutions, wars, and atrocities that characterized the Soviet period. She does not ignore statistics, but she folds them seamlessly into her mesmerizing narrative. Beginning with a 1997 visit to a mass grave for Stalinist victims at Sandormokh, she segues smoothly into an examination of sanguinary historical events and their psychological impact, which many Russians still deny. One of the questions that drives her narrative is: How do people's memories accommodate the unthinkable? After all the arrests, tortures, mass murders, deportations, bloody battles, famines and starvation, even cannibalism (all reported here), how do the survivors carry on? As the author proceeds through the century in riveting and occasionally nauseating detail, she uncovers some astonishing data. 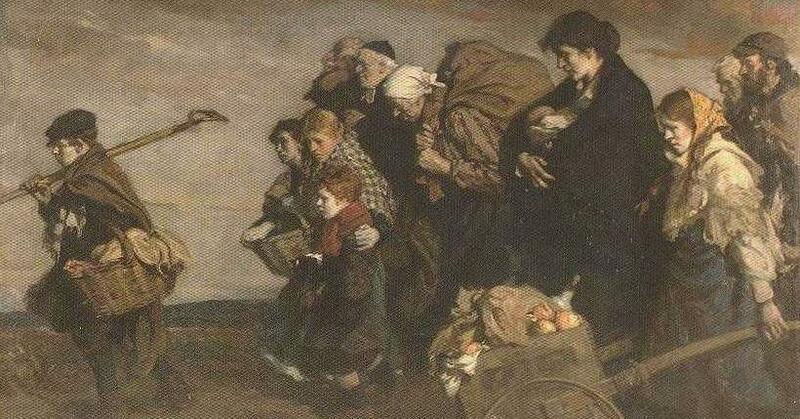 The census of 1937, for example, stunned Soviet officials with its revelation that the famine of 1932-33 had claimed as many as seven million lives. She reveals with devastating clarity the 'success' of Soviet propaganda among its own citizens. During the two-year siege of Leningrad, for example, more than ten times as many people died as at Hiroshima, yet survivors tend to reject the suggestion that its horrors had lingering psychological consequences. Silence and dissociation become the operative strategies. Merridale examines, as well, more recent events, such as the war in Afghanistan, the disaster at Chernobyl, the fall of Communism and the dismantling of the USSR; through it all she sees many Russians embracing what she calls 'the stoicism myth.' Despite what they have suffered through a most savage century, Merridale concludes, they are only now beginning to realize -- and acknowledge -- the effects. Written with consummate skill and enormous compassion." [Miliukov] Melissa Kirschke Stockdale, PAUL MILIUKOV AND THE QUEST FOR A LIBERAL RUSSIA, 1880-1918. NEW copy, hardcover with dust jacket. (Cornell University Press, 1996). 376 pages. ~~~ Paul N. Miliukov was one of the most formidable intellectual and political forces of Russia's late imperial period. An historian of international reputation, Miliukov eventually became the principal theoretician and leader of Russian liberalism. He helped found the country's first liberal political party, led the party's faction in the Duma, and edited an influential liberal daily. In 1917 Miliukov took the lead in organizing the first Provisional Government. Working tirelessly for a liberal order committed to social reform as well as political liberties and the rule of law, Miliukov also strove to reconcile liberalism and nationalism, championing the rights of national minorities while trying to promote the cohesion of the increasingly fragile empire. Melissa Kirschke Stockdale's biography of Miliukov's life in Russia is the most comprehensive available in any language. Drawing on his enormous published oeuvre and the five thousand folders of his personal archives in Moscow, many never before available to Western scholars, Stockdale examines Miliukov's contributions to Russian historiography, liberal thought, and nationality relations, teases out the connections between his historical writing and his political practice, and assesses his career in both a European and a Russian context. In so doing, she illuminates the dilemmas involved in constructing a workable liberalism in an illiberal climate, dilemmas with a startling contemporary relevance. ~~~ ~~~ Originally in print at $59.95, now OUT OF PRINT. Miller, Martin A., FREUD AND THE BOLSHEVIKS. NEW copy, hardcover with dust jacket. (New Haven: Yale University Press, 1998). 256 pages. ~~~ This fascinating book is the first comprehensive history of psychoanalysis in Russia from the last years of the tsars to the collapse of the Soviet Union in 1991. Using rare Russian sources and newly opened Soviet archives, Martin A. Miller explores Sigmund Freud`s influence in Russia during the twentieth century, discusses the lives of the Russian Freudians, and explicates for the first time original Russian psychoanalytic case studies. ~~~ The book begins with an investigation of the cultural currents in Russian society during the last decades of the tsarist regime. Discontented with treatment modes in Russia, a small group of Russian psychiatrists sought training with Freud, Carl Jung, and Karl Abraham and by 1917 had established the first psychoanalytic institute outside Vienna and Berlin and the first Russian psychoanalytic journal. Contrary to common belief, the psychoanalytic community did not disappear when the Bolsheviks seized power. Miller details how Soviet Freudianism was established, how psychoanalysts were trained, what their research focused on, and the impact of their work. ~~~ Although psychoanalysis underwent a withering ideological assault under Stalin and clinical activities were curtailed, discussions of Freud and his work continued. Later, as the end of the Soviet period approached, Freud`s writings were republished for the first time in decades, and psychoanalytic institutes and societies reemerged. Miller finds that the oscillations in Russian attitudes toward Freud during Soviet rule reflected shifting tensions within Russian culture at large. Martin A. Miller is professor of history at Duke University." ~~~ ~~~ Currently in print at $45. Moore, Joel, et al, THE HISTORY OF THE AMERICAN EXPEDITION FIGHTING THE BOLSHEVIKI, Campaigning in North Russia 1918-1919. NEW copy, Battery Press, 2003. Reprint edition. 120 photographs/ drawings, 1 map, 360 pages. 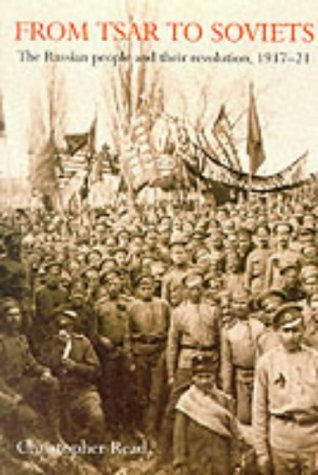 ~~~ The story of the 339th Infantry Regiment and its attached units in North Russia in 1918-1919. Moynahan, Brian, COMRADES: 1917 -- Russia in Revolution. VG/VG. Little, Brown & Company, 1992. First Edition. Photographs, bibliography, index, 374 pages. ~~~ From Publishers Weekly: "Moynahan's spellbinding chronicles of Russia in 1917--the year of Kerensky's fumbling provisional government and the Bolsheviks' October coup--ranks among the most vivid books to date on the Russian Revolution. Former London Times foreign correspondent Moynahan (The Claws of the Bear) describes his material in concrete, human detail: Kerensky's brilliant mocking of Lenin ('Karl Marx never proposed such methods of oriental despotism'); women lined up on icy nights from 3:00 a.m. until the shops opened at 9:00, after which they labored all day; Lenin, 'obsessed with violence,' a thug full of hatred who dehumanized his enemies as 'harmful insects . . . bedbugs'; the 1916 murder of Rasputin, 'the Unmentionable' -- his name seldom pronounced aloud for fear it would bring bad luck -- by a young aristocrat who dabbled in transvestism and the occult. The author conveys the weft and warp of Russia's tattered social fabric as few others have done. He illumines the rottenness of the old regime and the evil brutality that replaced it, showing how the Bolsheviks ruthlessly crushed the centrifugal forces that reasserted themselves in 1991 to shatter the Soviet monolith." ~~~ From Kirkus Reviews: "A tightly focused narrative of the year that Russia overthrew the Romanovs only to fall under the yoke of another despotic government. 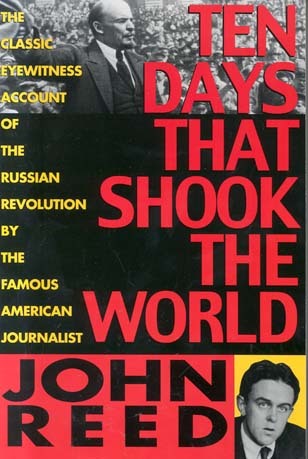 Moynahan (Claws of the Bear, 1989), former chief foreign correspondent of the London Times, has not uncovered any new material about the birth of the USSR, but he presents familiar information with an eye for the lively anecdote as told by eyewitnesses. In his view, although the overthrow of the well-intentioned but weak Czar Nicholas II and his dominating wife Alexandra may have been inevitable, the eventual triumph of the Bolsheviks was anything but. 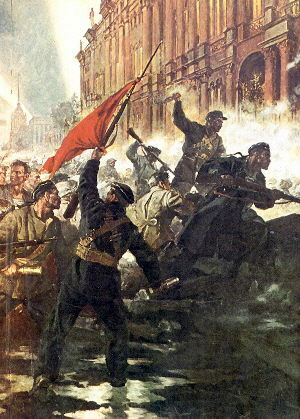 The usual pivotal events of the Revolution are chronicled--including the murder of Rasputin, the February Revolution, the March abdication of Nicholas, the Communists' abortive summer coup, the supposed threat from the military that allowed them a comeback, the October Revolution that brought the Bolsheviks to power, and the fateful formation of the Cheka, the first instrument of Soviet-sponsored state terror. Among the large cast of characters here, two stand out: Alexander Kerensky, the charismatic but vacillating revolutionary and eventual prime minister who let his democratic government be whipsawed by four cabinet changes in six months, economic deprivation, and unsuccessful participation in WW I; and cowardly, fanatical V.I. Lenin, who transformed the Bolsheviks from the most marginal of Russia's splinter groups to the only one by year's end, chiefly through ruthlessness (`How can you make a revolution without executions?' he scolded colleagues after a vote abolishing capital punishment). A cautionary tale to be remembered as the infant Commonwealth of Independent States tries to remain democratic and economically viable without veering between anarchy and a new, yet unknown dictatorship." Pipes, Richard, A CONCISE HISTORY OF THE RUSSIAN REVOLUTION. NEW copy. Hardcover with dust jacket. Alfred A. Knopf, 1995. First Edition. Intertextual photographs, glossary, chronology, references, suggestions for further reading, index, 431 pages. ~~~ From BookList: "For the busy but interested reader, Pipes has condensed his classic two-volume analysis of Russia's tragic cataclysm. How that great country became saddled with and ruined by Communism is complex -- despite the Bolshevik victors' claims for historical inevitability. Without World War I, they would have remained an obscure intelligentsia; Lenin doubted he would live to see the revolution scarcely weeks before the czar's abdication. Of course, Russia had muddled through the 19th century quasi-expectant of a revolution, ardently so by socialist terrorists, apprehensively so by liberals ;and conservatives; and the 1905 revolution should have revealed to everyone what a full-blown social overthrow' would be like. But as Pipes cogently and rather wistfully describes, the reformist track under Stolypin was stymied by the monarchist reactionaries. After the bizarre interlude of Alexandra and Rasputin, enter Kerensky, the Reds Lenin and Trotsky, the Whites Kolchak and Denikin, and the dolorous drama unfolds. Despite its sadness, insight abounds in this history, among the most reliably researched and skillfully synthesized works ever written on the revolution." ~~~ ~~~ Originally published at $30, now OUT OF PRINT. Pipes, Richard, THE RUSSIAN REVOLUTION. NEW copy. Trade paperback. (NY: Knopf, 1991). 976 pages. ~~~ From Publisher's Weekly: "With erudition lightly worn, Harvard historian Pipes, in this massive, wonderfully vivid, gripping chronicle, stresses the role of liberals both in the Russian revolution of 1905, for which the Communists later claimed credit, and in the upheavals of 1917. He attributes the failure of the February 1917 revolution to Alexander Kerensky's rash actions, his doctrinaire vision of democracy and his dissolution of the police and the provincial bureaucracy, which plunged the nation into anarchy. He argues persuasively that the Bolsheviks' October 1917 putsch was not a true revolution, but a classic coup d'etat. His portrayal of the backward Russian peasantry, scarcely touched by westernization, and of the intelligentsia, `self-appointed spokesman' for over nine-tenths of the populace, lays the groundwork for his discerning analysis of how Lenin built a one-party dictatorship. 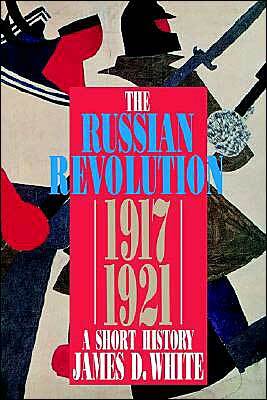 No other book so brilliantly clarifies the inner dynamics of the Russian Revolution." Pitcher, Harvey, WITNESS OF RUSSIAN REVOLUTION. NEW copy. Trade paperback. (Pimlico). 313 pages. ~~~ This is a book on the Russian Revolution with a difference. It unites formal history and individual memoir by telling the story of 1917 in the words of eye-witnesses who saw the overthrow of the Czar in March and the Bolshevik seizure of power in November. These witnesses are British and American and include American radical, John Reed, and newspaper correspondent, Arthur Ransome, who married Trotsky's secretary. 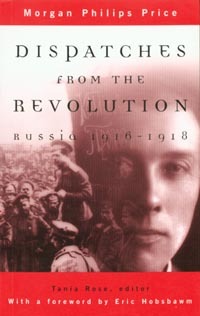 Price, Morgan Philips (Tania Rose, ed), DISPATCHES FROM THE REVOLUTION: Russia, 1916-1918. . NEW copy, trade paperback. (Duke University Press, 1998). 181 pages. ~~~ A special correspondent for the Manchester Guardian, Morgan Philips Price was one of the few Englishmen in Russia during all phases of the Revolution. Although his Bolshevik sympathies accorded him an insider's perspective on much of the turmoil, his reports were often heavily revised or suppressed. In Dispatches from the Revolution, Tania Rose collects for the first time Price's correspondence from Russia - official and unofficial, published and unpublished - to reveal a side of Russian life and politics that fell largely unreported in the years before, during, and after the Revolution. This collection includes Price's pre-censored observations and comment, written for a range of British publications, as well as letters, postcards, and other writings. A foreword by Eric Hobsbawm and introductory material by Rose place Price's observations in biographical and historical context. Dispatches from the Revolution offers an account of the Russian Revolution from an eyewitness whose political commitment, fluency in Russian, and extensive travel far beyond the cities permitted him to write, uniquely, not only of metropolitan news and politics, but also of the experiences and issues significant to ordinary peasants, workers, and soldiers in remote areas of the Russian empire. Read, Christopher., FROM TSAR TO SOVIETS: Russian People and their Revolution, 1917-21. NEW copy, trade PAPERBACK. (Oxford: Oxford University Press, 1996). 336 pages. ~~~ The author shows how the social, economic, political and cultural pressures of tsarism created almost universal discontent, which fueled a massive, large self-organized revolution from below. By examining the revolution in the light of these experiences rather than the activities of central parties and politicians, the book challenges many commonly held assumptions and sheds new light on the realities of living through and participating in those tumultuous events. 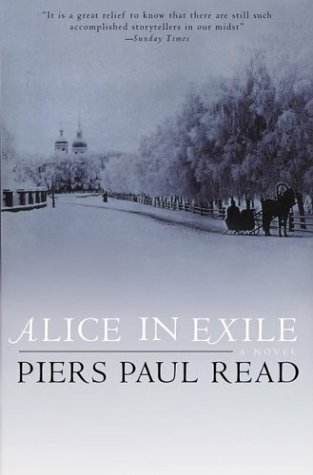 Read, Piers Paul, ALICE IN EXILE. [FICTION] NEW copy. Hardcover with dust jacket. ~~~ "Because of her liberal upbringing in late 19th-century London, Alice Fry believes in women's suffrage, the labor movement, and free love. When she falls for a young English army officer, she is completely happy despite his family's disapproval. But a scandal involving her father's publishing business causes her lover to break off their engagement to protect his rising political star. After discovering that she is pregnant, Alice flees to Russia with a visiting aristocrat and becomes his lover and the governess to his children. Soon, she is caught up in the horrific turmoil of the Bolshevik Revolution and World War I." Reed, John, TEN DAYS THAT SHOOK THE WORLD. (Penguin Twentieth-Century Classics). Paperback. Rear cover corner slightly bent, otherwise in new condition. With an introduction by A.J.P. Taylor. 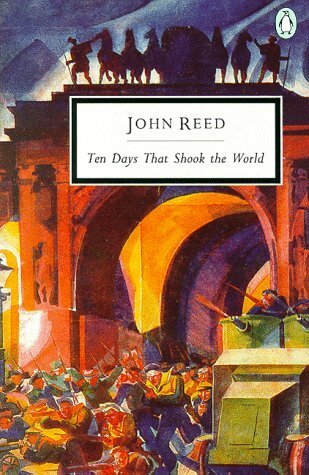 ~~~ In Ten Days That Shook the World John Reed conveys, with the immediacy of cinema, the impression of a whole nation in ferment and disintegration. A contemporary journalist writing in the first flush of revolutionary enthusiasm, he gives a gripping record of the events in Petrograd in November 1917, when Lenin and the Bolsheviks finally seized power. Containing verbatim reports both of speeches by leaders and the chance comments of bystanders, set against an idealized backcloth of the proletariat, soldiers, sailors, and peasants uniting to throw off oppression, Reed's account is the product of passionate involvement and remains an unsurpassed classic of reporting. Reed, John, TEN DAYS THAT SHOOK THE WORLD. NEW copy, Trade PAPERBACK. (Tantallon Press). 399 pages. ~~~ Reed captures the drama of the power struggle in Petrograd following the Tsar's abdication in 1917. Traveling throughout the city in those fateful days, he recounts with forceful description the packed meetings, the Provisional government's downfall, the resistance to the Bolsheviks, and their eventful hold on the country. A bestseller when first published in 1919, Ten Days That Shook the World still teaches compelling lessons about democracy. [Romanovs] Mark D. Steinberg and Vladimir M. Khrusgalev, THE FALL OF THE ROMANOVS: Political Dreams and Personal Struggles in a Time of Revolution. NEW copy. Trade paperback. (Yale University Press, 1995). Photographs, chronology, glossary, genealogy, notes, bibliography, document & illustration credits, index, 444 pages. 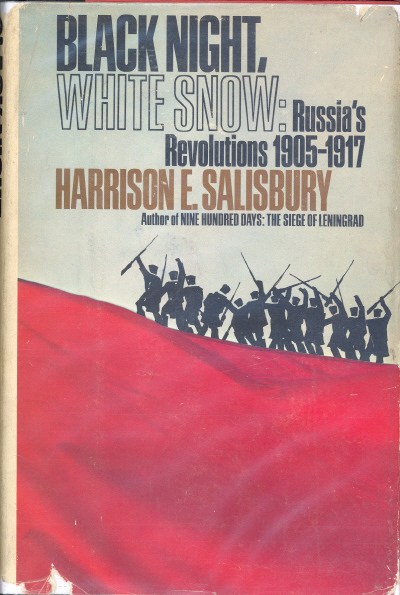 Salisbury, Harrison E., BLACK NIGHT, WHITE SNOW: Russia's Revolutions, 1905-1917. VG-/VG-. Jacket chipped & torn, protected by mylar. On book itself, page edges and end pages slightly soiled. Book otherwise clean and tight. (NY: Doubleday, 1978). First Edition. Source notes, bibliography, 81 pages of notes, index, 746 pages. ~~~ Harrison Salisbury, a leading authority on Russia, has told a sweeping story and shown the dazzling fabric of Russian life, often in the words of the participants. His account draws heavily on Russian archival sources, some still unpublished, as well as on personal memoirs . . . not only of political and diplomatic figures, but of artists, poets, and journalists of the period. There are new insights and revelations of the role of Lenin and his Bolsheviks -- their confusion and internal conflicts. The result is an exciting record of Russia's great revolutions -- a book that captures in detail and anecdote the electrifying atmosphere of an extraordinary epoch that changed the world. Siegelbaum, Lewis H. and Ronald G. Suny (ed), MAKING WORKERS SOVIET: Power, Class and Identity. NEW copy, trade PAPERBACK (Cornell University Press, 1994). 299 pages. 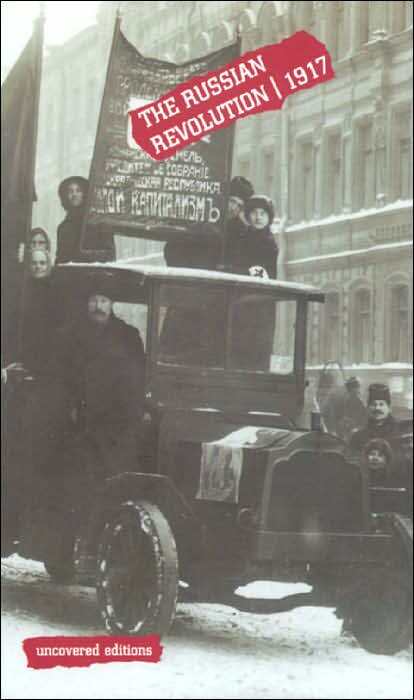 ~~~ Drawing on such diverse sources as propaganda art, the trade union press, workers' memoirs, and materials in recently opened Soviet archives, this is the first book to examine the shifting identity of the "working class" in late tsarist and early Soviet societies. New essays by fifteen leading historians show how Russian workers responded to attempts to make them Soviet. ~~~ ~~~ Currently in print at $27.95..
Steinberg, Mark D. (translated by Marian Schwartz), VOICES OF REVOLUTION, 1917. NEW copy. textbook hardcover. (Yale University Press, 2001). 432 pages. ~~~ Although much has been written about the political history of the Russian revolution, the human story of what the revolution meant to ordinary people has rarely been told. 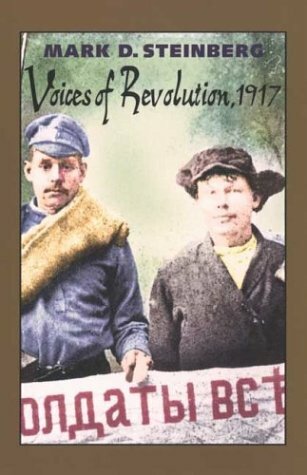 This book gives voice to the experiences, thoughts, and feelings of the Russian people - workers, peasants, soldiers - as expressed in their own words during the vast political, social, and economic upheavals of 1917. The documents in the volume include letters from individuals to newspapers, institutions, or leaders; collective resolutions and appeals; and even poetry. Selected from the State Archive of the Russian Federation in Moscow, nearly all the texts are published here for the first time. 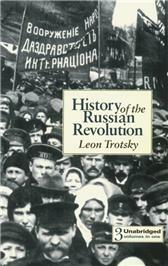 ~~~ ~~~ Currently in print at $45..
Trotsky, Leon [Max Eastman, translator], HISTORY OF THE RUSSIAN REVOLUTION. NEW copy, trade paperback. (Pathfinder Press, 1980). 465 pages. ~~~ The social, economic, and political dynamics of the first socialist revolution as told by one of its central leaders. "The history of a revolution is for us first of all a history of the forcible entrance of the masses into the realm of rulership over their own destiny," Trotsky writes. Unabridged edition, 3 vols. in one. 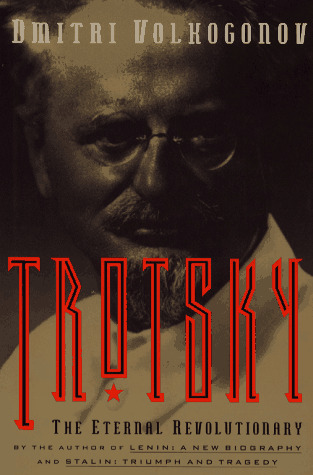 Trotsky, Leon [George Breitman and Naomi Allen, eds], WRITINGS OF LEON TROTSKY, 1939-1940. NEW copy. Hardcover (library binding). (Pathfinder Press, 1973). 465 pages. 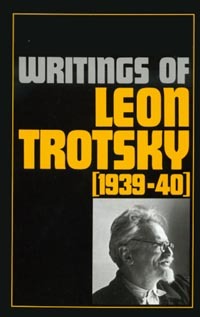 ~~~ This volume contains pamphlets, intervies, articles, letters and statements to the press written by Leon Trotsky during his Mexican excile from July 1939 to August 1940 when he was assassinated by a Stalinist agent. ~~~ ~~ Originally in print at $70, now OUT OF PRINT. [Trotsky] Dmitri Vokogonov, TROTSKY: The Eternal Revolutionary. NEW copy. Hardcover with dust jacket. (Free Press). 524 pages. ~~~ "A revealing biography of perhaps the most tragic figure of the Russian Revolution. Leon Trotsky was once portrayed as the pivotal figure of the revolution, as idealistic as Lenin but far less ruthless than Stalin. If he had gained power, rather than Stalin, the theory goes, the revolution might have turned out differently. Volkogonov's biography Lenin: Life and Legacy destroyed any illusions about the man and Stalin: Triumph and Tragedy reinforced the dictator's negative image. Now we have the last volume in a collective biography of the leadership of the Russian Revolution. And perhaps no one was better prepared to write it than Volkogonov, who rose to the post of deputy chief of political indoctrination in the Soviet army despite the fact that his father had been a victim of one of Stalin's purges." 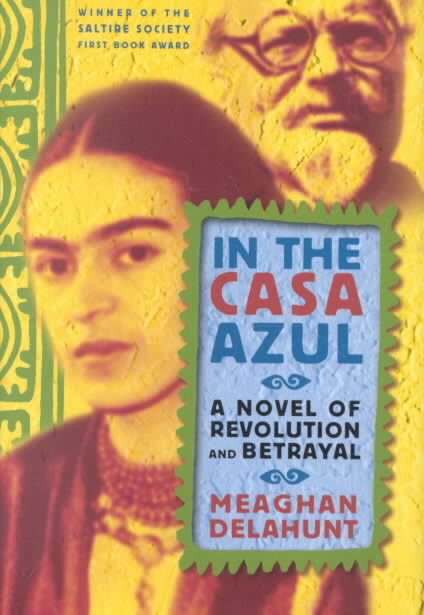 [Trotsky] Meaghan Delahunt, IN THE CASA AZUL: A Novel of Revolution and Betrayal. NEW copy. Hardcover with dust jacket. (St Martin's Press, 2002). 320 pages. ~~~ From Kirkus Reviews: In a carefully researched first outing, Delahunt tells the story of Trotsky's wait in a fortified Mexico City house for the arrival of Stalin's assassins. 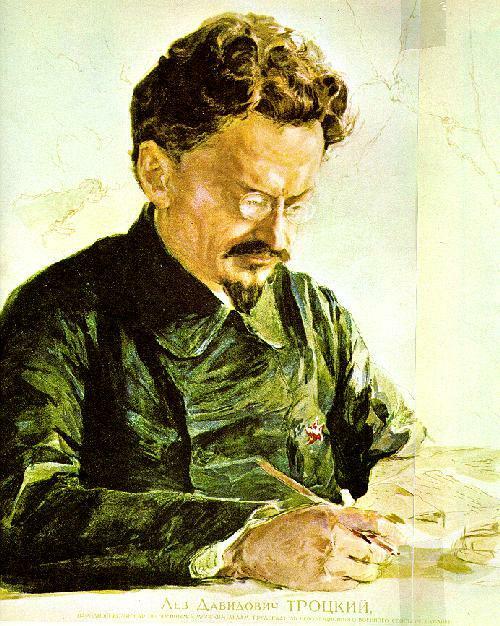 One of the brightest firebrands of the Russian Revolution, Leon Trotsky (born Lev Davidovich) was drummed out of the country by his jealous enemy, Stalin, and now, amid a swirl of memories �of love, betrayal, and revolution�the last days of the revolutionst are related in a series of impressionistic pieces, some narrated by Trotsky himself, others by people who knew him. The timespan goes from Trotsky's Ukrainian childhood in the late-19th century all the way up to the 1950s, years after his death, when the man who ordered his assassination, Joseph Stalin, lies dying in Moscow. ~~~ The story begins with a recollection of his arrival in Mexico City, where he and his wife stayed with the flamboyantly emotional and political couple Frida Kahlo and Diego Rivera. Along the way we hear from Trotsky's farmer father; his wife; one of his bodyguards; the Soviet operative infiltrating Trotsky's compound; a Mexican artist; Trotsky himself; and others. ~~~ Delahunt's command of her vast subject is most impressive indeed as she darts about from lazy days in Mexico City to the frozen steppes of Russia during the Civil War to the conspiracy-- cloaked corridors of power in Moscow-� all without batting an eye or even once muddying the narrative. The depth of research is astounding in a mapping-out of the volcanic passions and dark evils of the Revolution's heroes and villains-� especially Stalin's near-Satanic henchman Beria. A complex story laid out with consummate skill and aimed directly at the powerful vortex where emotion and politics converge. Ulam, Adam B., THE BOLSHEVIKS: The Intellectual, Personal and Political History of the Origins of Russian Communism. VG+/VG+. Jacket in mylar. (NY: MacMillan, 1965). First Printing. Photographs, page-end notes, index, 598 pages. ~~~ In The Bolsheviks, the brilliant political scientist and historian Adam B. Ulam vividly re-creates one of the great success stories of modern times: the rise of Communism to world power. His account of the making of the modern Russian state is a massive political and intellectual history honeycombed with intimate biographies of the great men of the Bolshevik movement. ~~~ Professor Ulam seeks out the progenitors of the Communists as far back as the Decembrists of the 1820s, and from that point traces from decade to decade the bloodlines of the great revolution. He concentrates heavily on the years between 1900 and 1924, from the time a small group of revolutionaries organized and called themselves Bolsheviks, to the year of Lenin's death. In that time Bolshevism became the force that seized the Russian government and established for all time the character of the modern Soviet state. Throughout the book Mr. Ulam relates the significance of that fatal quarter century to the succeeding years of the Soviet regime which have revealed so dramatically the Communist determination to master the world. ~~~ The Bolsheviks focuses necessarily upon the commanding figure of Vladimir Ulyanov Lenin, the heir of the long revolutionary tradition, and the great ideologist, master tactician, and electric personality of Bolshevism and Communism. Around him revolve the other important personages who were part of the success story which, as Professor Ulam points out, was not one of unqualified triumph; for the lives of the creators of Communism were marked with personal tragedy, and the movement itself was torn with ideological controversies which were to lead to totalitarianism and to the present quarrel which has divided the Communist world into two camps. ~~~ Much of the material in The Bolsheviks is published here for the first time -- particularly new biographical material on Lenin -- either released at last by the Soviet Government or recently established by Western scholarship. 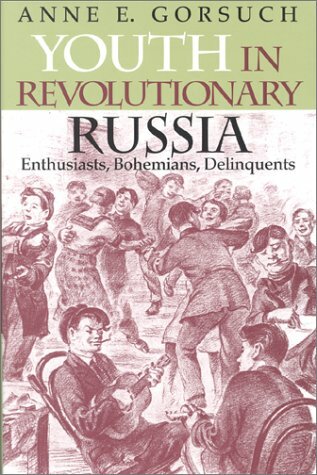 Professor Ulam has masterfully absorbed this new material into the most comprehensive work on the Bolsheviks to date. 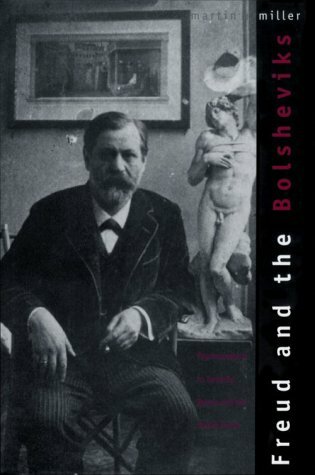 His is a book of great scope and impeccable erudition, rich with a kind of anecdote and insightful observation that injects moment-to-moment excitement into the extraordinary history of the Bolsheviks, their times, their effect upon Russia, and their influence upon the world. ~~~ Paperback currently in print at $24.95; hardcover OUT OF PRINT. 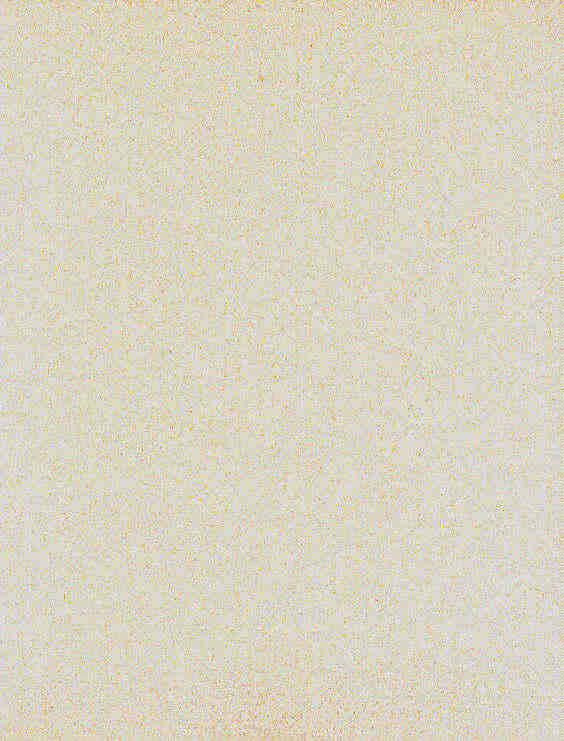 White, James D., RUSSIAN REVOLUTION, 1917-1921: A Short History. NEW copy, trade paperback. (Edward Arnold, 1994). 320 pages. ~~~ This study provides a factual, chronological account of the main political events of the period, explains the tensions within society that led to the popular upheavals of 1917 and shows what had become of these social movements by the end of the Civil War period; offers an intellectual history of the Revolution, and looks critically at the nature of the sources we depend on for an understanding of the Revolution. 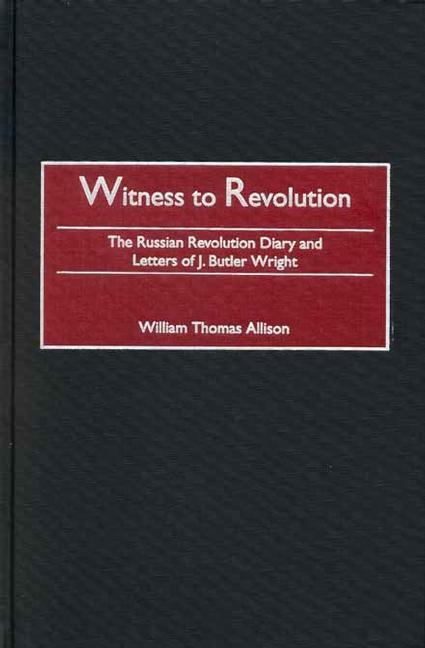 [Wright] William Thomas Allison, WITNESS TO REVOLUTION: The Russian Revolution Diary and Letters of J. Butler Wright. NEW copy, hardcover issued without dust jacket. (Praeger Publishers, 2002). Photographs, notes, bibliography, index, 261 pages. ~~~ J. Butler Wright brought his young bride and son to Russia in the fall of 1916 to take up duties as counselor to the American Embassy in Petrograd. He had no idea that he would soon witness one of the most amazing events in history--the collapse of Imperial Russia and the advent of the Soviet Union. Recording daily events and observations in his diary, Wright left a vivid description of the day-to-day uncertainty in revolutionary Russia and American activities during this chaotic time. This account demonstrates how confused and dangerous diplomatic representation can be during times of crisis. While often missing the mark in what was happening in Russia, Wright and his fellow diplomats fulfilled their duty diligently. ~~~ ~~~ Currently in print at $87.95.